Student Information Form All of the information we require to have on file for your student is found here. Click here to fill out your contact information, health/ allergy information, photo release forms, field trip consent forms, bound book orders, extended day information and other items. Will be provided to students the week of August 20. Tuesday after Labor Day (September 4th) at 4 p.m.
Campus Leave Form Requires a parent signature - to be returned by students to be given privileges to leave the Davis Street Campus. Will be provided to students the week of August 20. Tuesday after Labor Day (September 4th) at 4 p.m.
Technology Acceptable Use Form To be turned into your child's adviser; this is found in the TBS Handbook on page 62. Scroll to page 62 Tuesday after Labor Day (September 4th) at 4 p.m. Athletic Participation Form To be given to the coach at your child's first practice. Click here. Due by the first day of practice. Extended Day/Enrichment Registration form Looking for information on registering for Extended Day programming or learning about rates and fees for care? Look no further than the Extended Day informational packet. Turn in the form to Trinity Taylor. 1-888-894-8295 or 919-272-4123, or e-mail info@myhotlunchbox.com for more information. Email Trinity Taylor for other questions. Bound Books Information about Bound Book protocol can be found on the form. Click here. Email Debbie Strickland with questions. Student Parking Form For more information, email Will Roberson at wroberson@theburlingtonschool.org Click here.﻿ Students must turn this into their adviser. RenWeb Our online portal to access grades, comments, etc. Click here. 2018-19 Calendar The website calendar supersedes this printed version. Check the calendar on the homepage for updates. Access the calendar here. 2019-20 Calendar The website calendar supersedes this printed version. Check the calendar on the homepage for updates. Access the calendar here. Report Card/ Comment Login URL Looking for your child's report card grades and comments from each semester? Log on to RenWeb to access that information. Access your student's report cards and comments here. Yearbook Orders Great photos. Special Stories. The book that has it all. Back-to-School night will have the lowest prices on yearbooks for the 2018-19 school year! Order your yearbook here! If you were unable to make it to the State of the School Address, view presentation notes in PDF format below. Click here. Want to know more about supporting TBS athletics? Click here. 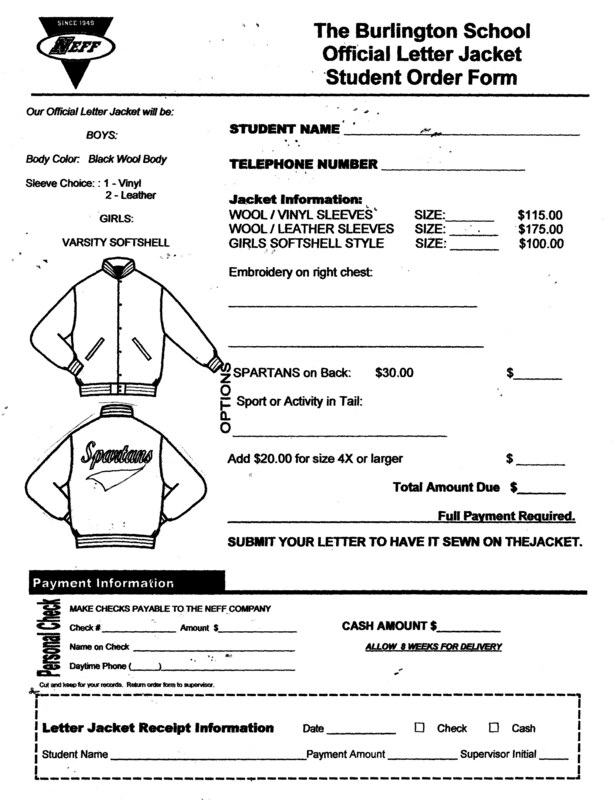 Please submit payment and completed form to Will Roberson, Director of Athletics. Click here. Thank you for volunteering to drive our students to special events! Click here. Parent Resources for Dealing with Grief If you or your child is dealing with loss, please take advantage of our resources and pamphlets here. Contact Community Life Facilitator Ashley Springer at aspringer@theburlingtonschool.org if you have any questions. Click here. Do you still have questions about our Tuition Aid Data Services (TADS). The Burlington School ID is 33072. This document walks you through it step-by-step.